Xiaomi is all set up to launch the Redmi Note 5 at an event in New Delhi tomorrow on Valentine’s Day. 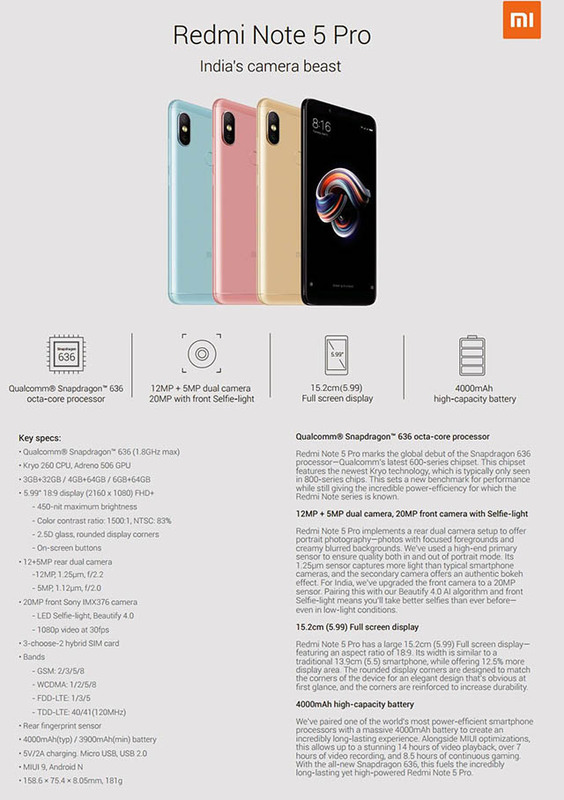 While there have been a number of design and specification leaks surrounding the phone, it looks like the official posters for the upcoming smartphone have leaked out. Ankit Chugh has tweeted images of what looks like official posters for the Redmi Note 5 and Redmi Note 5 Pro, and they basically give away all the details about the devices. According to the posters, the Redmi Note 5 will come with a full-screen display. 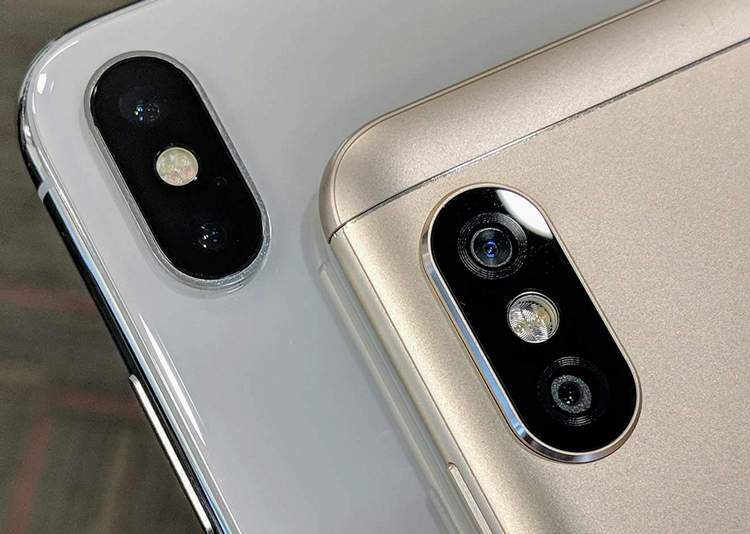 However, the images show that the phone will stick with a single rear camera this year as well. The phone will apparently be running MIUI 9 based on Android Nougat for some reason and will be available in Black, Gold, Rose Gold, and Blue Colors. The posters also show off another device called the Redmi Note 5 Pro, which features a dual rear camera set-up similar to the one on the iPhone X. 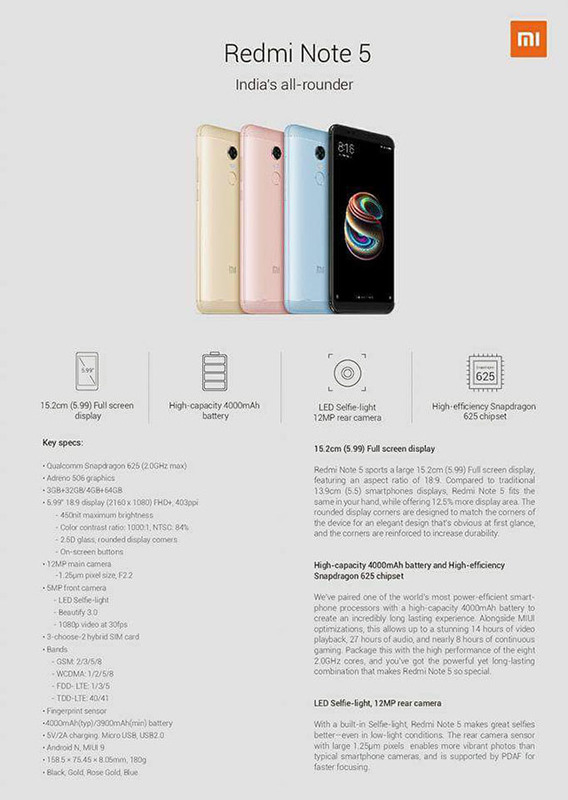 It will also have a full-screen display and will be more powerful (hardware wise) than the Redmi Note 5. The Redmi Note 5 Pro is also expected to be running on MIUI 9 based on Android Nougat. While there are no details about the pricing in these posters, there are expectations that the Redmi Note 5 will start at the Rs. 10,000 price point. However, these are leaked posters and could be completely incorrect so I suggest you take these with a pinch of salt. Personally, I have reservations about the things written on these posters, especially because they mentioned ‘Android N’ and not ‘Android Nougat’, which just looks fishy. Anyway, we’ll get to know everything tomorrow at the event and we’ll definitely let you guys know as soon as we can, so keep checking back here.